We could define Biomechanics as the ability which the living beings move within the environment and the way in which they do. But on his occasion we don’t want to talk about the Biomechanics as a physical level, we want to talk about another peculiarity of Keysi which is the “emotional biomechanics”. 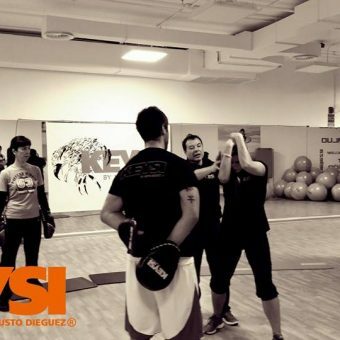 One of the most striking peculiarities of Keysi is that we do not care for being the best fighters in the world, out main purpose is to extol the student to learn something basic which is “to know yourself” and “be yourself”. 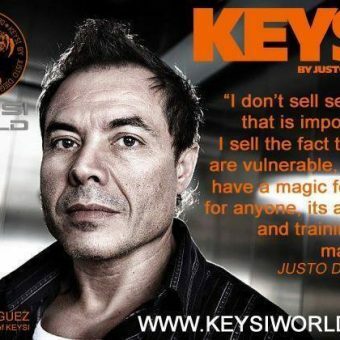 Keysi devoid the rules in its practical terms but still using them. Keysi has an endless philosophical knowledge to instruct the students from his class. Today concepts such as friendship, equality, teamwork and loyalty either to himself or to his opponent may seem outdated and obsolete, but for us in Keysi nothing is more important than ever to stop being ourselves and despite circumstances, to know better day after day. Today maybe people are set in other profiles, wanting to be so much like them that eventually they cease to be themselves, since these benchmarks make people lose their way and their goals. In Keysi we work the mind and we remind them that the first and most important is to believe in them, if you believe in yourself you have earned at least 80% of any discussion or problem you will encounter in your daily life. Finally, and note least important, in the emotional level of Biomechanics we instruct the student with the most vital concept in life which is the breathing. We believe so much in it that it represented in the arms and insignia of Keysi, as is the concept of “Never Give up”. Whatever happens, never give up, and believe in yourself. Whatever happens you will go forwards.